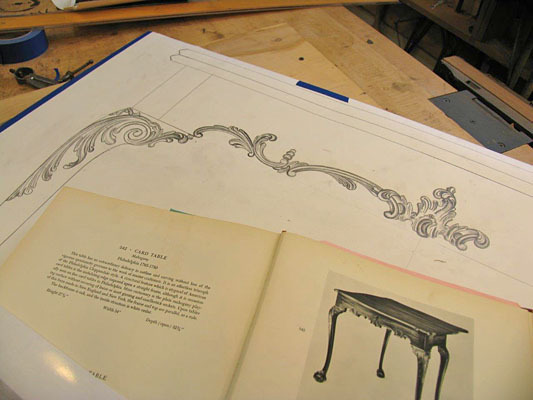 In creating a highly carved chair or a simple end table, the process begins with a series of drawings. Inspiration may come from photographs, a museum piece, measurements, or simply a rough idea presented by a client. Most pieces are drawn full-scale as this is the best way to assure a piece is correctly proportioned. A full-size sample may be made to ensure that a design with three-dimensional features is correct from all viewing angles. Next in the process is the selection of wood. 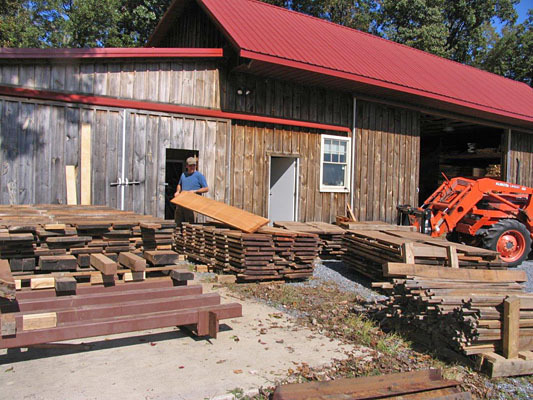 A comprehensive inventory is maintained of hard-to-find woods including mahogany, walnut, tiger maple, flame birch, and other highly figured hardwoods. 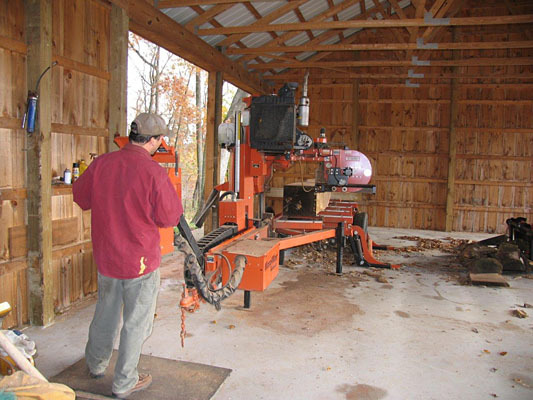 Most of the lumber is processed on site using a sawmill and dry kiln. The logs are not cut to maximize yield; cuts are based on how the figure of the wood will be best showcased in the furniture. Sets of boards are kept together throughout the entire drying process. They are then labeled, cataloged and go on the shelf to wait for the perfect project. 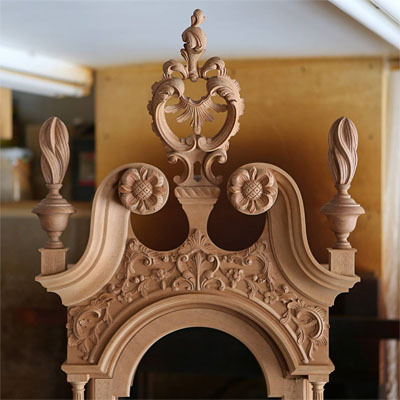 Time-tested techniques are used throughout construction of each piece of furniture. Hand-cut dovetails and deep mortise and tenon joints are cut and fit one at a time by hand. 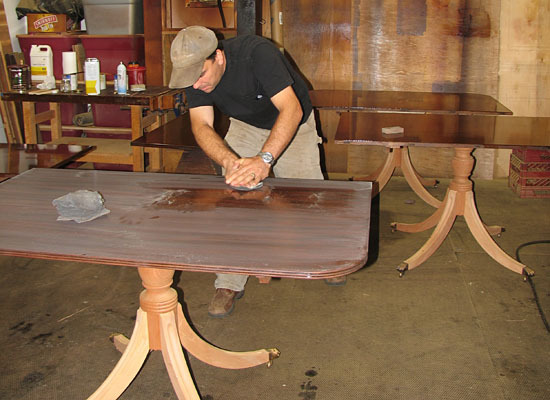 From experience in restoring antique furniture, Eric knows what will stand the test of time. Fine carving is a desired attribute for much of Erics furniture. 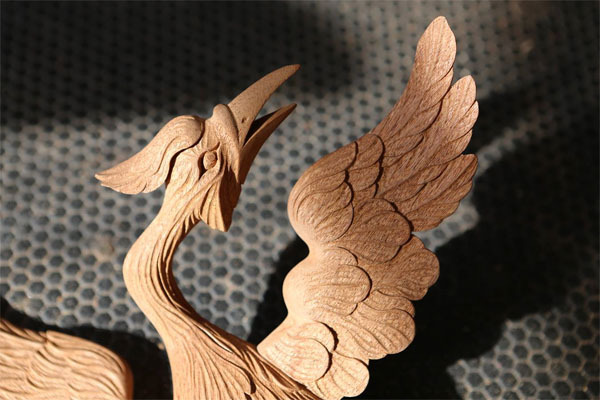 All carving is developed, drawn by hand and executed in-house. This assures the required continuity in all aspects of a highly carved piece. 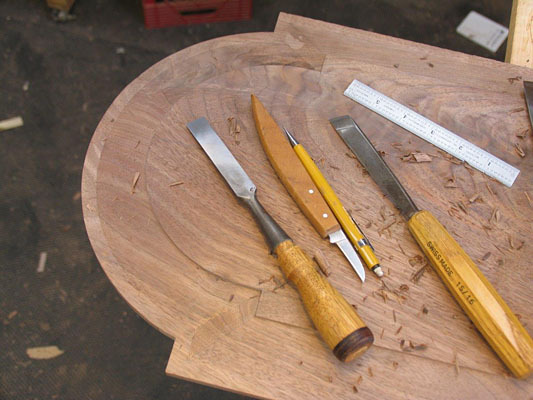 Finishing is critical to the overall success of each piece. Whether it is an aged finish or a clean new finish, Eric will work with the client so that the new piece fits perfectly into an existing collection. To complete the piece, authentic hardware, and upholstery are chosen, with the client's full involvement. Eric accepts furniture designs or develops them in collaboration with clients from sketches, photographs or descriptions. 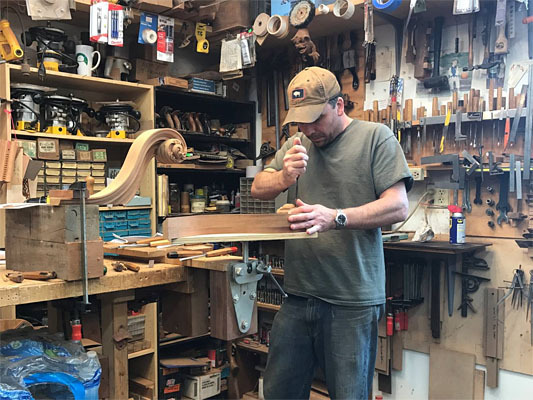 He welcomes clients to his shop in Lancaster County, PA (or interactively online) to refine requirements and design details and even to select wood from the inventory. Clients watch their commission take shape with his progress photos. Eric will coordinate closely with clients to ensure shipment and delivery by the most appropriate manner. Note that some completed pieces may be available. See the For Sale section of Erics web site. Inquire for pricing. Please visit Erics Facebook page to see construction photos and details of many interesting projects. A Facebook login is not required.